On July 11th, 2017, Lorenzo Johnson walked out of Dauphin County Courthouse a free man after over two decades of being behind bars for a crime he didn’t commit. 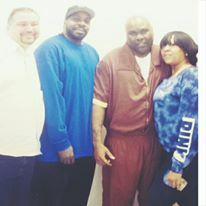 He had tasted freedom once before, albeit briefly — the Yonkers native, served sixteen-and-a-half years of a life without-parole sentence until 2012, when the Third Circuit Federal Court of Appeals ruled there was legally insufficient evidence for his conviction. He remained free for four months. In that four-month period, Lorenzo was able to get a taste of what the majority of us take for granted — our freedom. 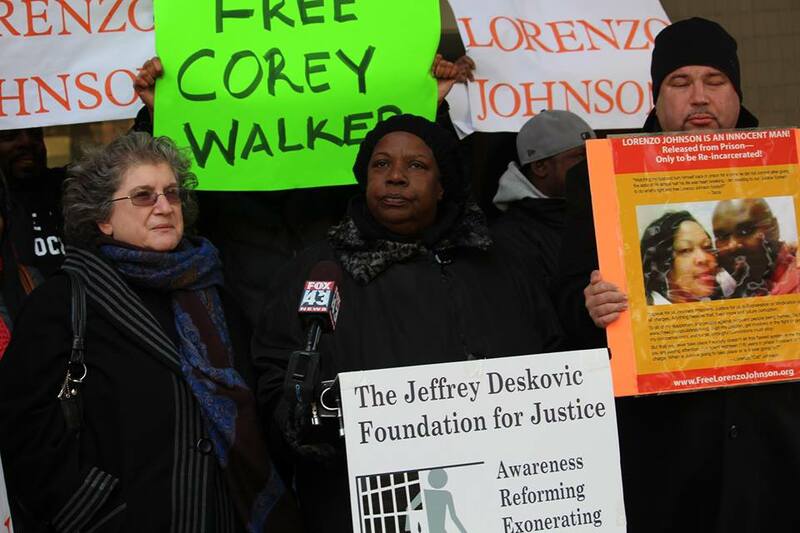 With the help of the Jeffrey Deskovic Foundation For Justice, Johnson was able to rebuild a life shatter by a wrongful conviction — he had been convicted of murder in P.A., where it was alleged that, in conspiracy with Corey Walker [who remains wrongfully imprisoned, alleged to be the shooter], murdered Taraja Williams. It was alleged that Walker, with the victim in the middle, followed by Lorenzo, walked the victim to an alley where Walker shot and killed him, with Lorenzo as the combination lookout man as well as preventive of Williams from exiting the alleyway. The sole quasi-witness to this was Carla Brown, who claims that she followed the three of them from the bar, and then she saw Walker and the victim in the alley, walked passed Lorenzo standing guard on the sidewalk, and then heard a gunshot. The prosecution’s theory as to motive was that Williams owed Walker money, and that when Walker asked for it a fight broke out in the Kentucky Fried Chicken parking lot, and that Williams beat Walker with a wisp broom. This murder was supposed to be in revenge for this beating. Life for Johnson was finally brimming with hope again. But then the cruel hand of fate that had lead to him losing much of his adult life dealt him another undeserving card. Deskovic recalls that drive in vivid detail. But the fight was far from over. The Foundation promoted Lorenzo’s articles on social media, and additionally obtained a paid intern who managed his website, sent out email blasts, and related tasks. The Foundation persuaded Lonnie Soury, of Soury Communications, who specializes in public relations work around wrongful convictions (cases that ended in exoneration that he played a p.r. role include: Marty Tankleff; Derrick Hamilton (21 yrs); while also assisting the West Memphis 3 in their effort in regaining their freedom.). Soury assisted in obtaining news coverage in collaboration with The Foundation, organizing rallies, media coverage etc. The Foundation also assisted Lorenzo on a morale level, speaking with him several times a month on the phone, sending him money each month, ordering food packages, visiting him, and connecting him with other people. 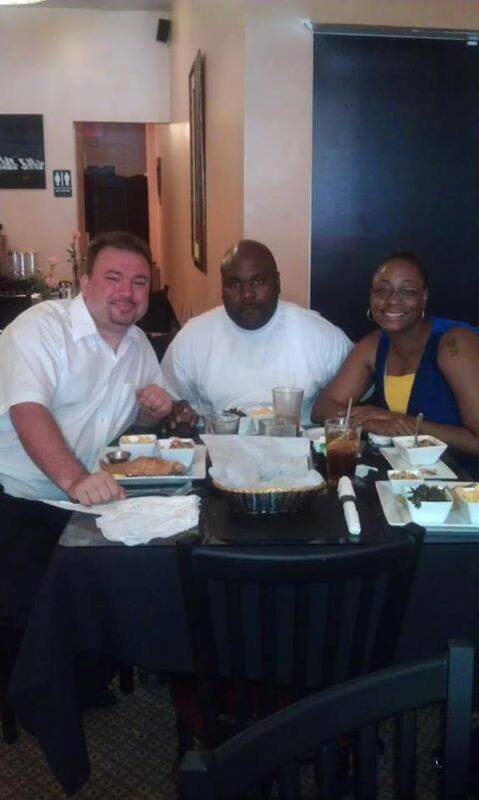 When the paid intern could no longer assist with Lorenzo’s website, Thomas Dichter of Decarcerate Pennsylvania [Decarerate’s goal is reducing the prison population in PA.] stepped in, handling matters pertaining to the website; email blasts; assisting Lorenzo by editing, posting, and email blasting Lorenzo’s articles. Lorenzo’s petition, which is on his website, attracted thousands of signatures around the world. 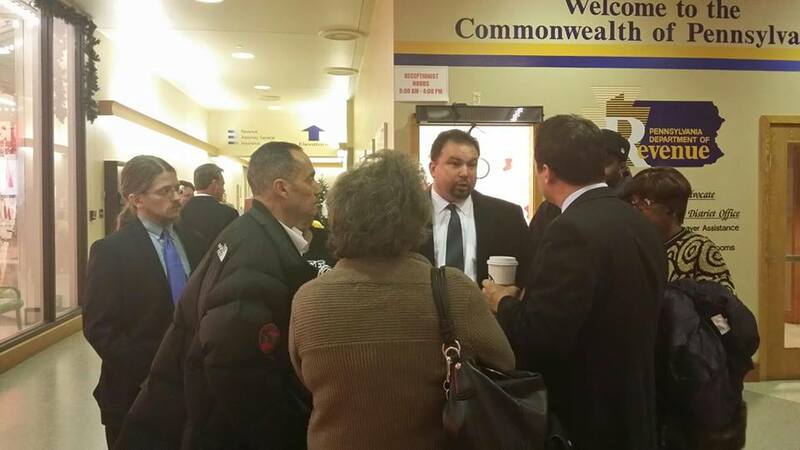 Here is an article about the time that myself, along with other advocates, delivered over 1000 petition signatures to the then Pennsylvanian Attorney General Kathleen Kane’s office. “While Lorenzo expected to be back in prison for 3 or 4 months pending the investigation to turn up new evidence which he could then base a new effort to get his wrongful conviction overturned again, he actually ended up remaining incarcerated for 5 years,” Deskovic says. “Simultaneous to the investigation going on, Wiseman filed several challenges to Lorenzo’s conviction on other legal grounds, losing several legal proceedings despite having very compelling legal grounds. Ultimately the investigation was completed and an evidentiary hearing was finally scheduled- after Lorenzo waited for a year and a half to get to a hearing on this new evidence. The grounds that were going to be litigated included Brady violations (favorable evidence to him had not been turned over). Specifically, that the PA Attorney General’s Office had not disclosed evidence favorable to the defense that: Carla Brown [the sole eyewitness] had been an alternative suspect; that the motive witness Victoria Daubs had a familial relationship with the main detective, mother; and that nearly 200 pages had been withheld from the defense that were supposed to have been turned over. Johnson, for his part, isn’t as bitter as you might expect. We asked him: How do you make up for 22 years of having your life taken away from you? He was matter-of-fact in his answer. He explained that during that during that second prison stint it was the knowledge that he was innocent that gave him an inner strength and the belief that justice would eventually prevail. 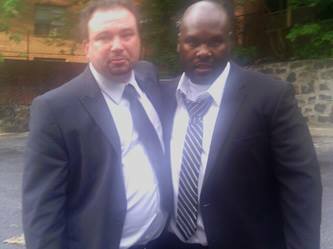 Since his release Johnston returned to his hometown of Yonkers, NY, rejoined his family, and has become a vocal advocate for fighting for those who are wrongfully convicted. Johnson’s voice really resonates in his writing, giving people a better insight into how a wrongful conviction shatters the life of not only the accused, but everyone around them. Often, when someone is exonerated for a crime they never committed, society only sees the individual case of injustice and misses the overall nightmare of wrongful convictions. Then again, record-breaking number of exonerations in the past two years shows how common wrongful convictions have become. It’s sad but true: with nearly 2086 people exonerated since 1989, injustice has become ordinary and accepted. Wrongful convictions are like large bodies of water — with deadly undercurrents. We all know what happens when something is caught in an undercurrent. It’s displaced, lost, and sometimes never seen again. As innocent prisoners, our lives, family, friends and faith in the criminal justice system all get caught up in the undertow. When an innocent person is falsely charged, convicted, and sentenced to prison for being innocent, it does not only affect us as individuals — it tears our family threads apart. Sometimes it destroys our support systems altogether, leaving us completely alone to fend for ourselves. For those of us who have family support, a part of our family dies every time one of our appeals is denied. Why? This fuels their fears of never seeing us physically free again. Our families are torn apart, with kids growing up without their mothers and fathers. There are two things in this world that we can never get back if lost: life and time. There’s more to it than being locked in a cage for something we didn’t do. In prison you encounter and share space with people who are in for everything from petty theft to multiple homicides. Are all of them terrible people? Not at all, but there are many you wouldn’t want in a mile radius of your family. Then you have prison staff, who view us as just another guilty prisoner. This is our living environment. On a recent visit with one of my daughters, the topic came up of how long I’ve been in prison. My daughter was born while I was in the county prison, facing charges. It’s 21 years later, now. Her whole life, her dad has been in prison serving a life sentence for being innocent. Nobody other than me will sit her down and try to explain why and how this happened. I’m one of many faces of wrongful conviction. I’m a writer, so I constantly speak out about our pain. Unfortunately, revealing our injustices has repercussions seen and unseen. My appeal has been continuously “slow walked” because of this. The people responsible for our suffering would rather that we be quiet about what they’ve done and continue to do to us. But I refuse to wear a muzzle and stop educating society about what goes on every day in our courtrooms. I don’t write for pity or sympathy. I write to inspire society to take a stand with us and combat injustice as a whole. We lack the resources and numbers that you can bring to the table. Please hear the cries of the innocent. 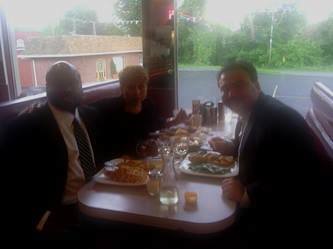 “Besides Jeffrey Deskovic being a great friend of mine, The Jeffrey Deskovic Foundation played an intricate part by helping keep my innocence in the public’s eye by publicizing my innocence, holding rallies on my behalf, and funding the rallies and bus rides from New York to Pennsylvania for my family and supporters to come to my hearing,” Johnson says. As to what Kindness and Hope means to Johnson who has suffered so much for no apparent or just reason? According to the National Registry of Exonerations, there have been 2086 exonerations to date. 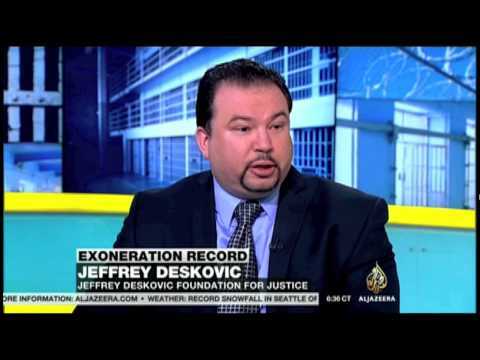 To give others who were wrongfully convicted hope, please donate to The Jeffrey Deskovic Foundation For Justice by clicking HERE, so that they can continue to fight for the innocent. 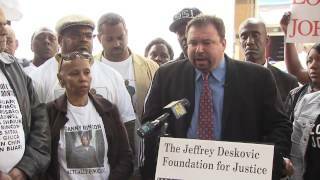 The Jeffrey Deskovic Foundation For Justice is a New York based 501(c)(3) committed to exonerating the wrongfully convicted both in DNA and Non-DNA cases, as well as seeking changes in the law designed to prevent wrongful conviction in the first place. To pave the way for such changes, The Foundation regularly raises awareness about the issue and sometimes meets with elected officials and testifies at hearings where legislation is considered. Learn more HERE.